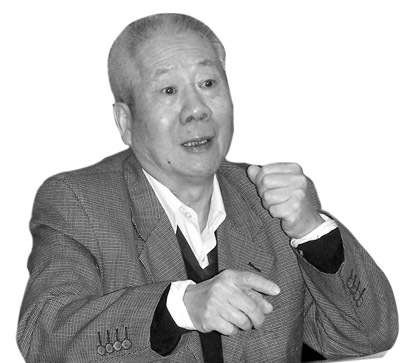 Born in July of 1935, Mr. Lin, a doctoral tutor, is a researcher at the Institute of Research of Math and Systematic Sciences of the Chinese Academy of Sciences. Being a member of the leading group of the Preparatory Committee for the 2002 International Congress of Mathematicians that was held in China, Mr. Lin is one of the leaders of Tian Yuan Foundation of Math of the Foundation for Natural Sciences of the Nation. He had the honor to be come an Academician of the Chinese Academy of Sciences in 1993, he was conferred an Academician of the Third World Academy of Sciences. Between the years of 1995 and 1999, he was elected, for two consecutive terms, Deputy Director of the Chinese Mathematical Society. Academician Lin Qun is a well-known mathematician in the domain of functional analysis and computational Math in our country. Since the 1970’s, Mr. Lin has made a series of extraordinary achievements in his research of the accelerating theory of the solving of the differential equation. As a result, he has formed a systematic theory, which has impressed his peers at home and abroad as “ground-breaking research” and which has been listed as “one of the 3 accelerating theories today that have the promising future”. Mr. Lin was awarded the first prize for natural science by the Chinese Academy of Sciences and the prize for math achievement by the Czech Academy of Sciences in 2001. Invited by President Yang Xueli in March of 2001, Mr. Lin, the Academician, came to work at CNU as a distinguished professor.